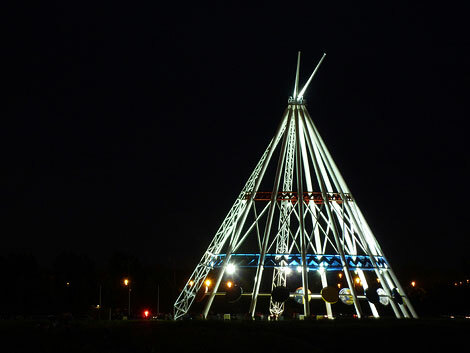 Working as a graphic designer over the years with different local companies, the teepee has become an almost required element to symbolize Medicine Hat, Alberta, Canada. 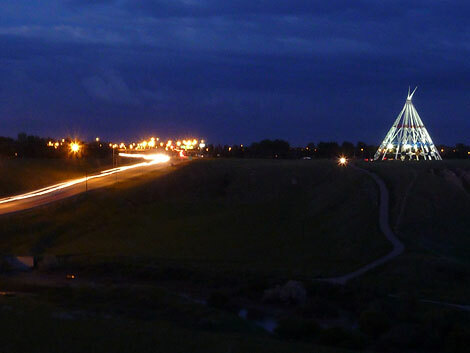 Since its move to Medicine Hat in 1991, the world's tallest teepee, a.k.a. 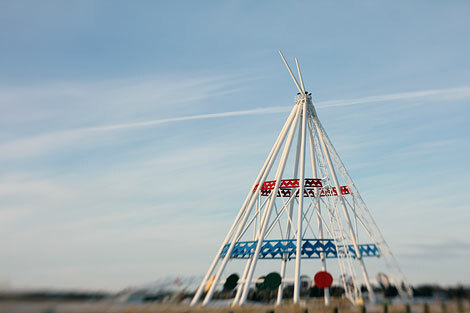 the Saamis Tepee, stands 215 feet high, overlooking the Trans-Canada Highway. 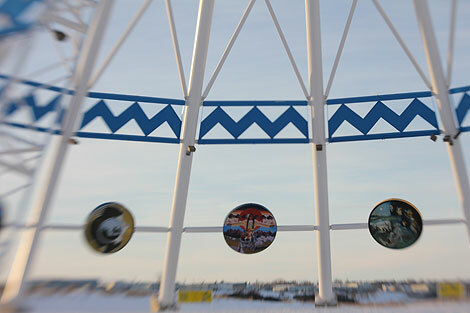 Originally built for the 1988 Winter Olympics held in Calgary, Alberta, the roadside attraction is passed through thousands of travelers making their way across Canada. 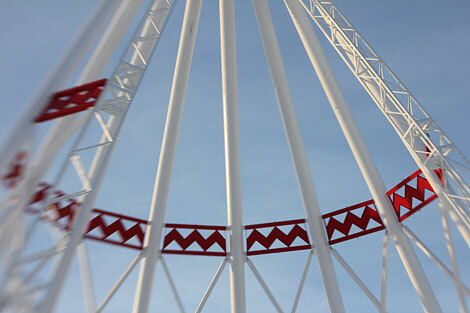 Every so often I will snap a few photos when I am passing by. Very nice pictures! 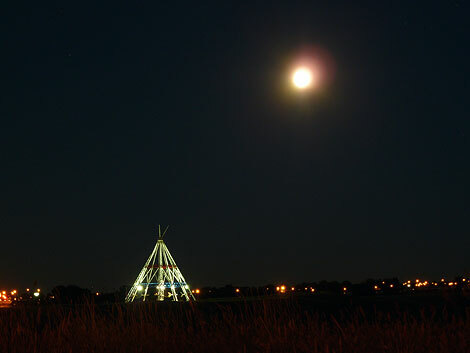 You must've took some of the night ones on Canada day at the fireworks? Or did you go another time?